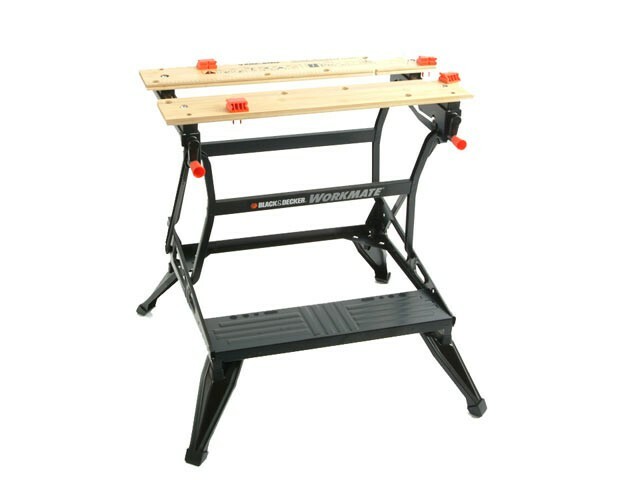 The Black & Decker WM626 Tough Dual Height Workmate can be use as a workbench, bench tool stand, vice, or sawhorse. With a durable steel frame construction that folds flat for compact storage and easy transport. Dual clamping cranks increase clamping force and versatility. Designed for easy set-up and clean-up. Adjustable swivel pegs and jaw retention grooves provide clamping versatility and reliable material hold. Fitted with rubber feet that are anti-slip. Folded Size (WxHxD): 742 x 740 x 200mm.